While spending time in Hume Lake Pastor Gary and I were able to do some serious bonding with the boys. We stayed up until the wee hours of the night almost every night. And while that in itself was a novelty for most, we also searched the scriptures, discussed the topics of the day and partook in the lost art of good, old fashioned “rough housing”! I have to say that while most conversations about this ancient art inevitably turn into debates about lawsuits and liabilities, I believe that pink bellies and pillow fights are the key to a healthy, growing relationship between any good Youth Leader and his boys. 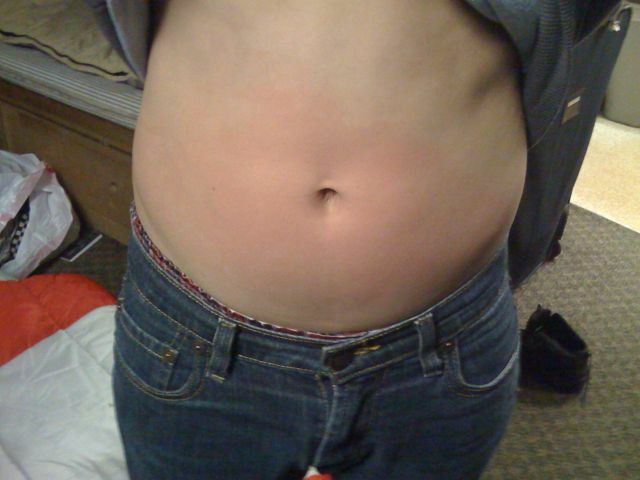 Case in point, the photo of the pink belly seen here is that of the boy mentioned in my previous post. I’ll say it again, I’ve never seen a MS boy connect with God the way this young man did at Hume Lake. 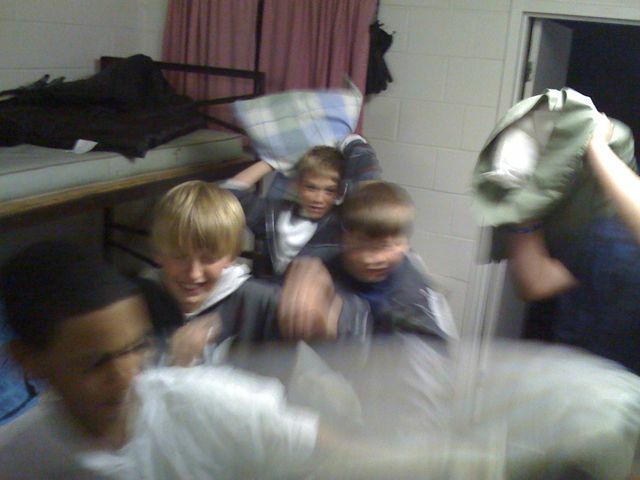 When was the last time you had a pillow fight with your boys?